That’s very cool. 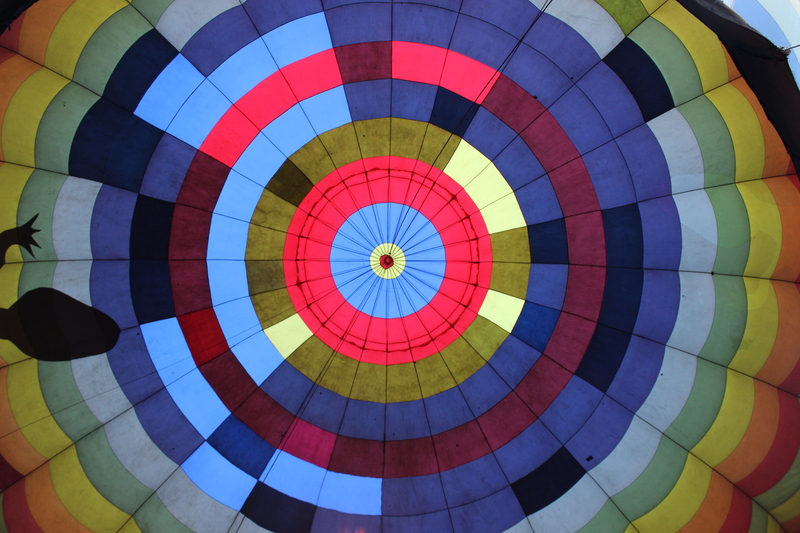 It’s not every day one gets to look straight up into a hot air balloon. I see a lot of hot air around me but not usually in this context. Nice job. Thanks! It was a very cool experience. I checked out your posting. Lovely photos! And such a sweet baby!! Wow, this is good! But did you go for balloon ride? Brave lady! Have yet to tackle this particular challenge. Work and other obligations — always getting in the way!!! What a splendid shot! It’s mesmerizing and colorful! I’d love to fly in a hot air balloon one day!